Click here to read Kenny's article about singer/songwriter Townes Van Zandt entitled "Artistic Temperament or Bipolar Disorder"
Available in the May 2005 Issue of Shake Magazine! 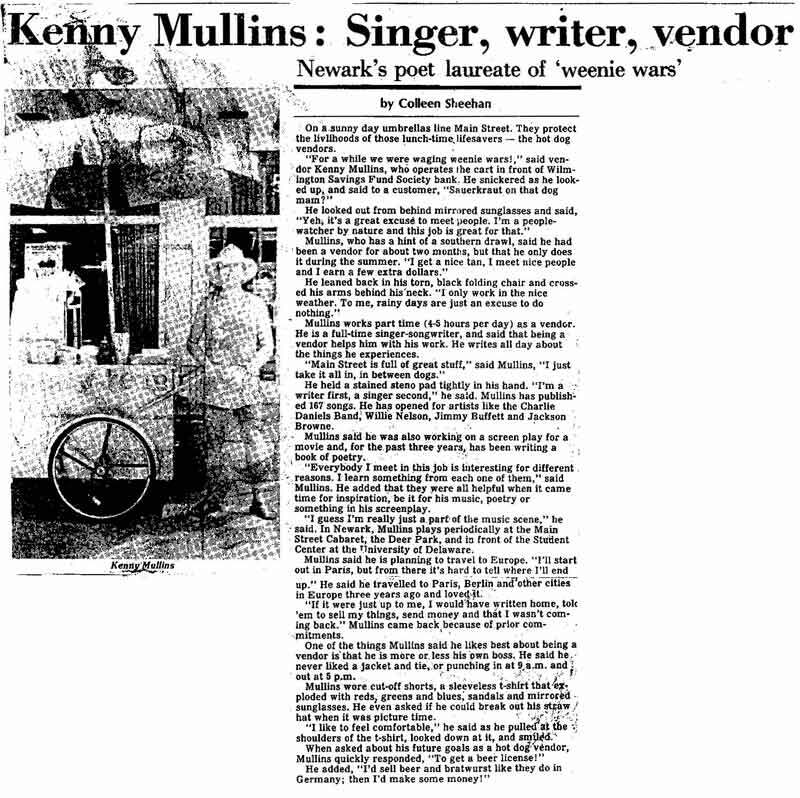 In 2011, Kenny Mullins celebrated 40 years as a professional artist. 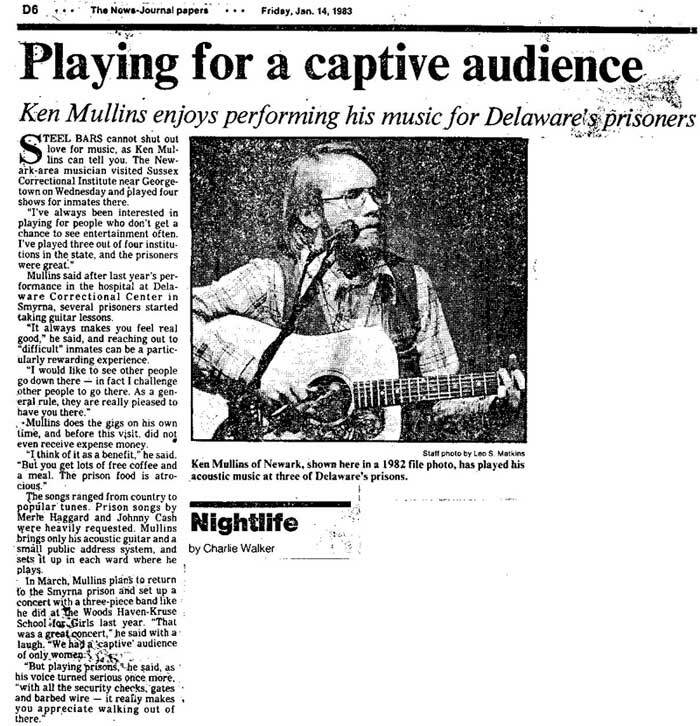 Starting out as a solo folk and country performer back in 1971, Kenny continued on through the century playing blues, rock, country, bluegrass, reggae, pop and almost everything else in numerous incarnations of the Kenny Mullins Band. 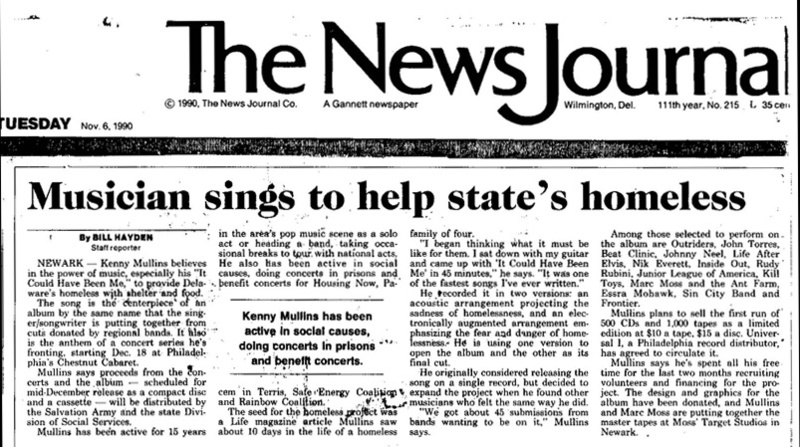 It’s 2011 and Kenny is bringing it all back home with his latest CD and a year of touring and performing primarily solo. His new album, Human Songs, is a throwback to Kenny’s beginnings and to the early days of country and blues music and the great folk scene of the 50’s and 60’s. 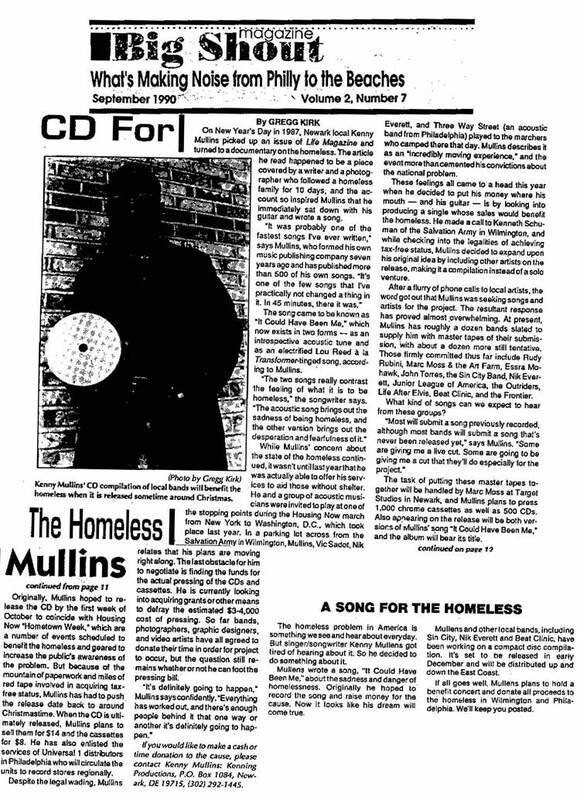 The spirit that flows through Human Songs is the same spirit flowing through the early works of Bob Dylan, Phil Ochs, Johnny Cash, Doc Watson, John Prine, Leonard Cohen, Tom Paxton, Richard Thompson and other ‘folk’ artists as well as early blues and country performances such as Jimmie Rodgers, Lonnie Johnson, Woody Guthrie and Hank Williams. The thirteen songs range from the Blind Lemon Jefferson influenced blues, “Walking Down the Highway” to “The Lone Soldier” an a cappella hymn. “Lonesome Blues” shows the influence of the legendary Lonnie Johnson while “Lucky To Be Alive” tips it’s hat more than a little to ‘singing brakeman’, Jimmie Rodgers. 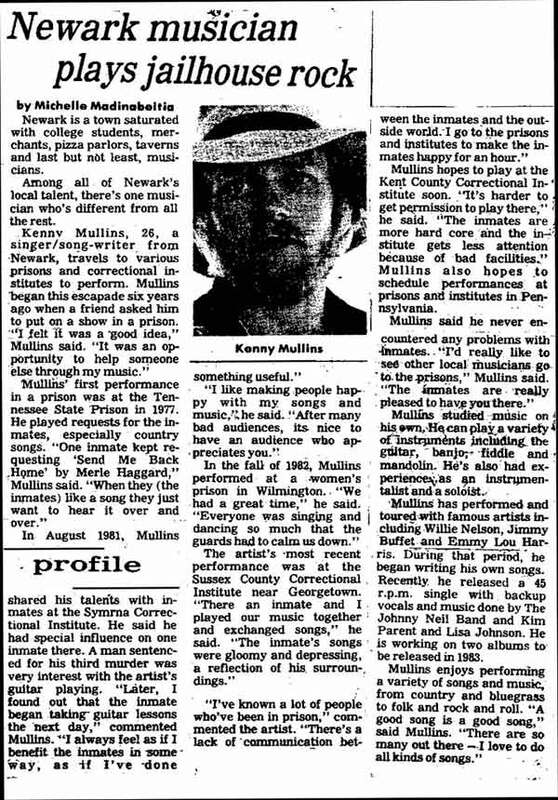 The final track, “Playing God”, is a furious indictment of the death penalty and our complicity as a democracy. The songs on this CD were recorded at “various times and places and in various states of mind and circumstances”. After releasing an intimate gospel CD for a hospice where he volunteered, and recording an as yet unavailable tribute to Doc and Merle Watson and Merle Travis, Kenny has a new CD available. It was written and recorded between September of 2011 and October of 2012. It was conceived and recorded in a burst of inspiration, and addresses a number of topical and social issues. particularly women and native peoples' rights. It's called "Sister Oh Sister". To find out more just click the link below marked "Sister Oh Sister Project". 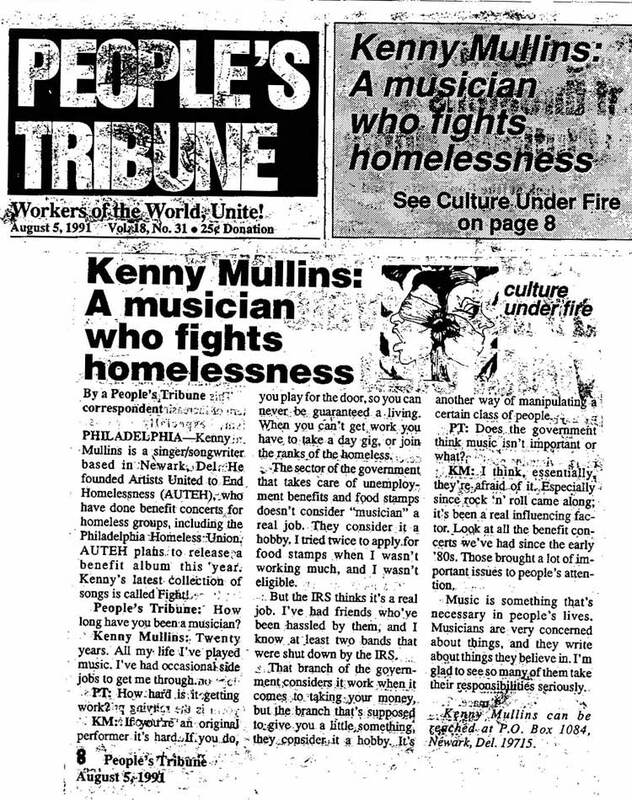 If you wish to place an order for it or other Kenny Mullins music, as well as listen to free downloads, go to the page marked "Merchandise".